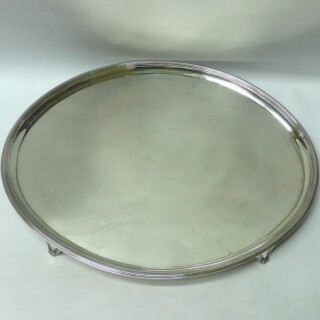 A large antique sterling salver of oval form with a reed border and raised on splay feet. Lovely simple design. Uninscribed. 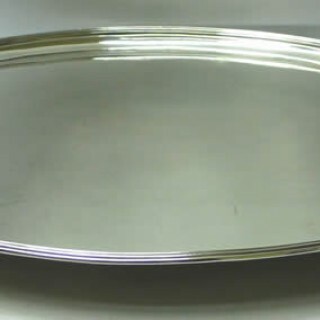 Excellent quality and heavy gauge silver. Weight 1470 grams, 47.2 troy ounces. Measures 44 x 34 cms. London 1792. Maker John Hutson. 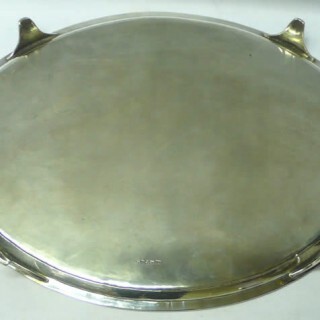 This lovely salver is in excellent condition. No damage. 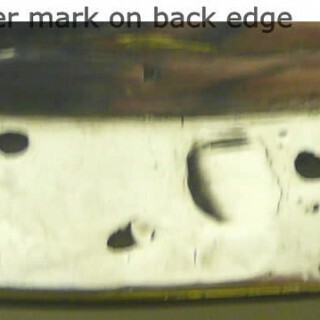 The silver marks are clear and easy to read. Excellent colour. No erasures. 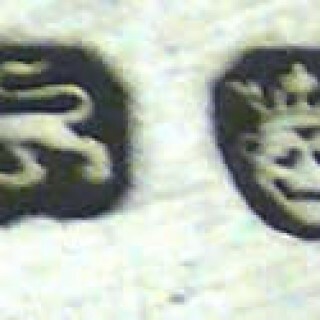 There is a small solder mark on the back edge which doesn’t show on the front – this could possibly be a small old repair.